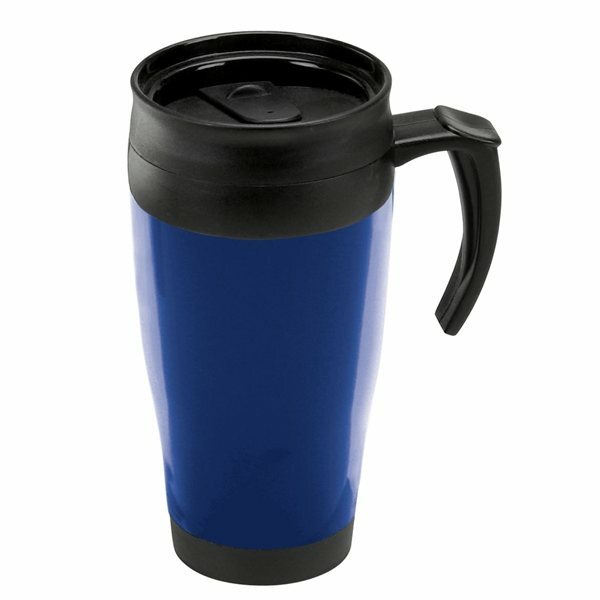 16 oz semi-translucent double wall insulated mug. Features a screw on splash proof lid, thumb-slide closure and an ergonomic handle with comfortable thumb-rest. Contoured base fits in most cup holders. Looked great and everyone was happy with it. Great item for give aways at our shows etc...Got the imprint color right! As a sporting goods company, this has been one of our most requested give aways over the years. A constant order to AnyPromo is a must! Affordable as well. I was very pleased with the product - it was very nice to have received the actual item prior to the order put into production. We got we had paid for! Happy with the appearance of our artwork.